Museums, places of wonder where historic battles, ancient civilisations and extinct creatures are vividly recreated. Even more so from Fri 19–Sun 21 May as the Festival of Museums welcomes pirates, Vikings and Victorians through the doors of museums and galleries across the country for a weekend celebrating history, culture, science, arts and heritage. We've rounded up our top workshops, reenactments and activities taking place across the country. On my god the triceratops' have taken over Elgin Museum. Quick craft an origami dinosaur in order to placate them. You can also check out the museum's recognised collection of pre-dinosaur fossils. Kelvin Hall was once the host of an annual circus and carnival. Over the weekend you can learn about the history of Glasgow's carnival and try your hand at tightrope walking, plate-spinning and clowning. No point running off to join the circus if you haven't mastered the basics of juggling at these clown and circus skills workshops. The force is strong at Paisley Museum. There's a night of family-friendly activities to tie in with the new exhibition May the Toys be With You, a selection of Star Wars memorabilia, toys and posters. Expect a few big kids amongst the visitors. The Highlanders Museum is home to the largest military collection outside London. Explore the replica trench, make your own trench periscope, visit the WWI handling collection and try on clothes from the period. In Dumfries you can meet the Border Clansmen, a gang of fearless 16th century cattle rustlers who took advantage of the 'Debatable Lands' between Scotland and England. Young recruits are sought to join the Clansmen in a junior re-enactment battle and visitors can watch as they share the secrets of Border Reiver swordcraft, fire power and fashion. A traditional Victorian fayre with comedy skits, storytelling and a knees up to music by Gilbert & Sullivan. If you don't already own a top hat, first ask yourself why not, then make one at the fayre so you're never caught short again. Take part in lion dance workshops with the lion dancers from the Yee's Hung Ga Kung Fu Academy. You can also learn to write your name in Chinese characters and craft a scary lion mask to drive away evil spirits. The Vikings are in town and setting up a village where you can check out their domestic life and combat techniques. You can also have your barnet coiffed in the style of the Vikings, so you can blend in. All aboard the Tall Ship for a weekend of pirate-themed activities. Get the scurvy pirate look with face painting and latex scars, get up close to parrots with Animal Magic Parrots' exotic bird handling and watch PUBCAT pirate re-enactment group demonstrate live musket firing. There might even be a swashbuckling fight or too breaking out across the deck. The Edinburgh Street Ceilidh heads indoors to the City Art Centre where professional ceilidh band The Jacobites are calling all the well-known ceilidh dances. Dash like a white sergeant and dance like a Canadian barn. 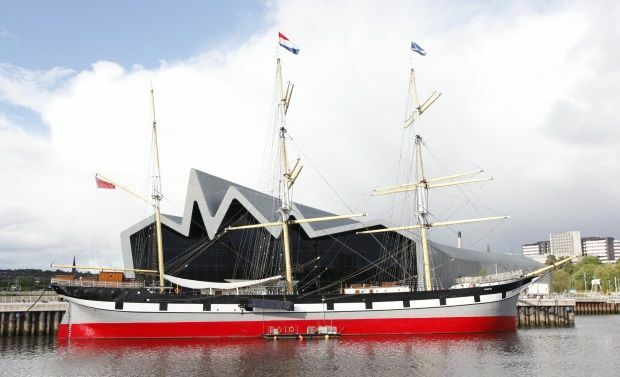 Festival of Museums, Scotland wide, Fri 19–Sun 21 May.